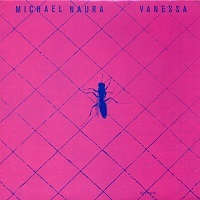 Lithuanian-born Michael Naura is a German pianist, editor, and journalist. Capitalizing on a range of influences, from George Shearing to Horace Silver, his successful self-titled quintet LP of 1963 made him a household name in hard bop. If the benefit concerts arranged after his being diagnosed with polyserositis the following year are any indication, his brief absence caught many in its ripples. Central to Naura’s cadre in his formative years as recording artist was vibraphonist Wolfgang Schlüter, whose presence is keenly felt throughout Vanessa, his first and only album for ECM proper (he did release another, Country Children, as part of the label’s short-lived SP series). Even though last year saw Naura’s efforts recognized with a WDR Jazz Prize lifetime achievement award, this album remains etched in vinyl. Naura’s set of six opens its eyes in the electric piano and marimba strains of “Salvatore.” The unmistakable electrobass of Eberhard Weber provides just enough ground for Klaus Thunemann’s stellar bassoon improvisations. This gorgeous opener sounds more like John Zorn’s Electric Masada on sleeping pills than anything else. The energy peters out over time and seems to trip on its own intentions, opening up a subtle improvisatory space in the process. From these murky depths arises the track’s thematic beginnings, passionately recapitulated with some superbly realized drumming from Joe Nay, amid a flanged wash of familiarity. “Hills” bustles like lunch hour in Burtonville, though it’s Weber’s nimble fingers that make it the album’s highlight. The next tune lumbers playfully like its titular “Baboon,” all the while emoting an intrinsic self-assurance. Thunemann adopts a vocal quality that is anything but primitive in a three-minute aside that’s sure to bring a smile to your prehensile lips. The title cut reaffirms Schlüter’s reign, billowing through the night like a curtain at an open window, where once wavered the silhouette of a love no longer here, and at which now stands the one left behind. Moments of synchronicity hint at a fleeting union shared under cover of neon and subterranean steam. The serrated contours of “Listen To Me” contrast alluringly with its straight-edged neighbors. Vibes thread the whole, culminating in a sustain-pedaled echo. Ultimately, the bassoon abstractions and soloing of the elegant “Black Pigeon” prove Thunemann to be the star performer of an altogether commendable group of musicians. The only downside to the album is its sometimes weak recording mix. One can almost feel the marimba solo in “Salvatore,” for example, being tweaked into the foreground (compare this with the more equitably balanced “Listen To Me”). Should a reissue ever be in the works, as I hope it will be, a remastering will also be in order. Nonetheless, a keeper if you can track down one of these hot pink, fishnet sleeves.